In 1975, the FIA launched a championship consisting of a small number of races around continental Europe, including the high profile races at Monaco, the Nürburgring and Monza, and open to everyone except graded drivers, long-distance sports car drivers and anyone who had scored points in Formula 2 in the previous two years. Unfortunately, the FIA did not do enough to publicise the series in this first season. 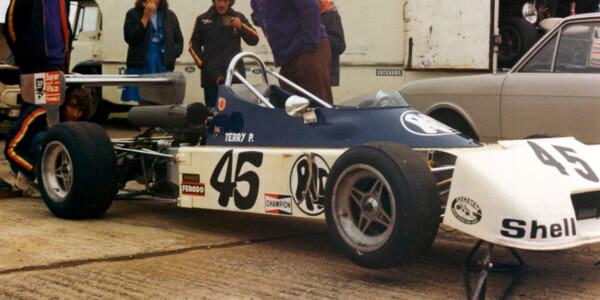 Most F3 drivers had put together budgets for national series so this new competition was ideal for Australian Larry Perkins who had a new Ralt RT1 but insufficient budget to tackle the BP series in England and wasn't the right nationality for the closed Italian, German and Swedish series. Nobody was really paying too much attention to the European F3 Cup in 1975 and there was certainly no drivers who gave the impression they were basing their F3 programme around it. The first two qualifying races saw Renzo Zorzi win at Monaco from Patrick Neve, and Freddy Kottulinksy win at the Nürburgring from Dieter Kern. The Anderstorp race was a support for the Swedish GP, and also a round of the British championship, but the field was nothing special and even Kottulinsky stayed away. Then Perkins won the Monza Lotteria from Fernando Spreafico, which left the Australian with a recharged bank balance and in a strong position to grab the title with only two races left and nobody on more than the 12 points of Anderstorp winner Conny Andersson. The fifth race was a poorly-supported event in France, not entirely surprising since the French had replaced their national F3 series with Formule Renault Europe, and again Perkins won the race with none of the other title contenders featuring. The last race was an even more obscure affair in Denmark which was won by brother Terry in his sister Ralt but with nobody else targeting the Cup, Perkins emerged as the inaugural champion. This series ran over six rounds and used a 9-6-4-3-2-1 points system. Points tables from Autocourse 1975/76 p200. March were the dominant constructor in Europe in 1975, accounting for 84 of the 187 starters in rounds of the European series. Next most numerous were GRD (32), Brabham (22), Modus (14) and then Ralt and Maco, each with nine. No other make of car started more than three times. The data for the Euro F3 series have been compiled by Chris Townsend principally from press coverage in British and European magazines of the period, including Autosprint , Rallye Racing , Sport Auto , and Auto Hebdo , along with original period documents from spectators and competitors. Identification of chassis numbers for German based cars in the series has been immeasurably aided by discussion and the exchange of data with Manfred Werner of formel3guide.com. A results sheet for the Grand Prix Danmark at Djurslandring is still needed but we have a general need for all original race documents and entry lists, so please get in touch if you have anything that might help.